Shop online for 179 sanding tools / sandpaper at discounts up to 46%. 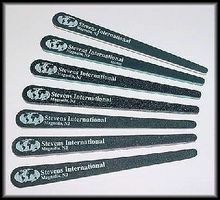 Squadron/Signal is ranked #1 out of 15 sanding tools / sandpaper manufacturers, followed by Hobby Stix, and Testors. This is a Fine Grit Sanding Stick from Squadron Products. These are 3 Tamiya Finishing Abrasive P2000 Sheets. This is an Extra Fine Grit Sanding Stick from Squadron Products. This is a Sanding Stick with One Extra Belt from Excel.